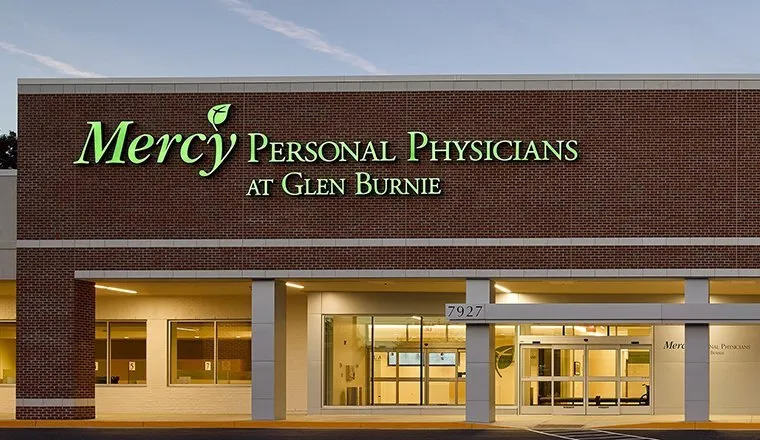 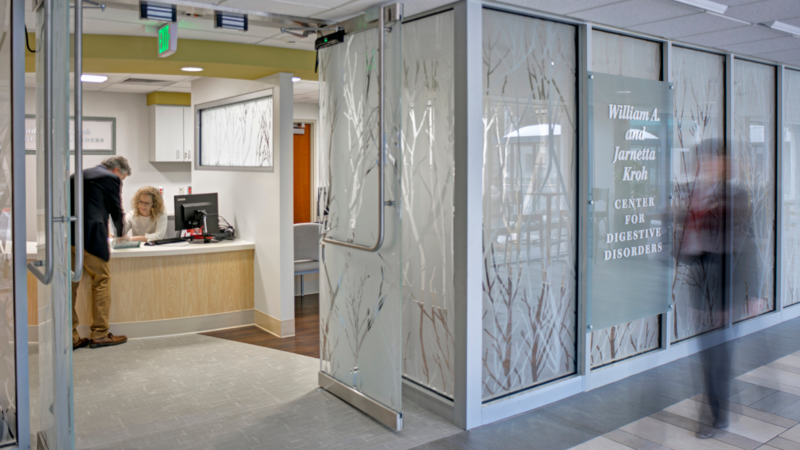 Hord Coplan Macht provided design services for the newly relocated 18,000 sf Endoscopy Suite at the Greater Baltimore Medical Center. 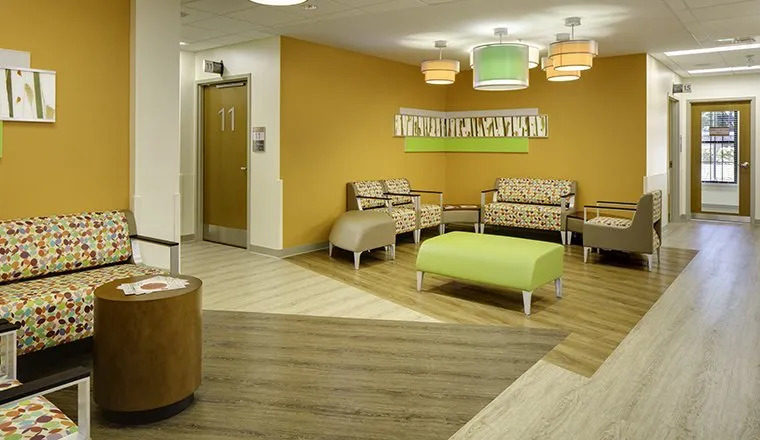 Prior to building the space, HCM created mock cardboard cutouts of rooms, as well as equipment, and worked with the GBMC staff to design the best units possible in the space. 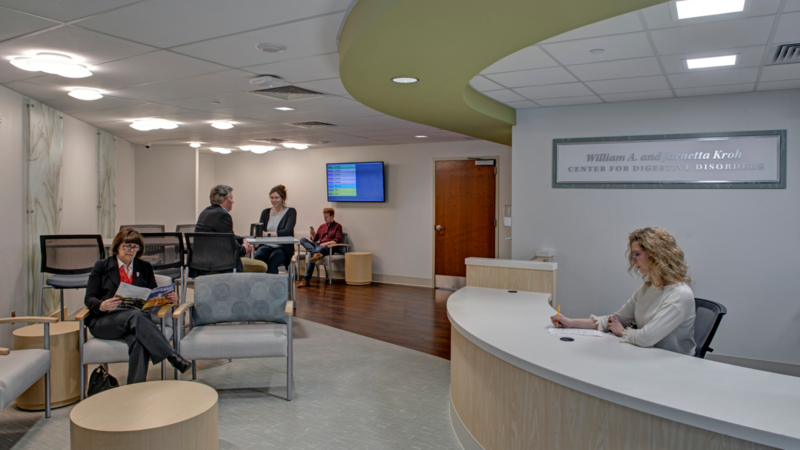 As a result, the suite was expanded to be three times larger than the existing, comprising of 24 private patient rooms, including two bariatric rooms and two isolation rooms. 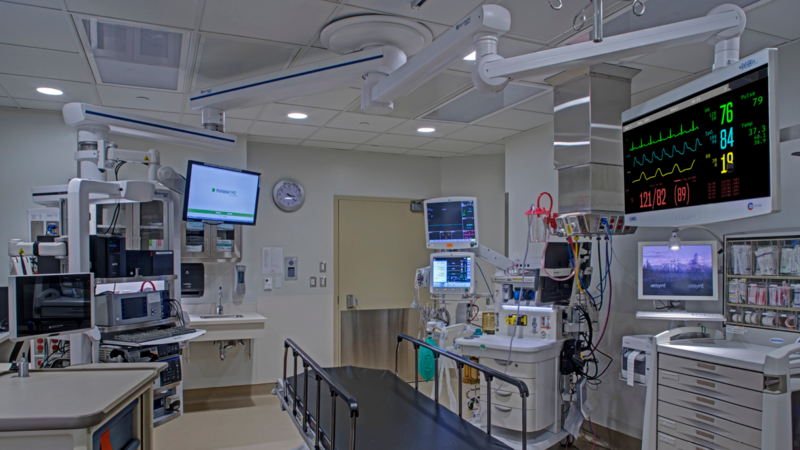 Also included are four colonoscopy procedure rooms and two ERCP rooms with radiology capacity. 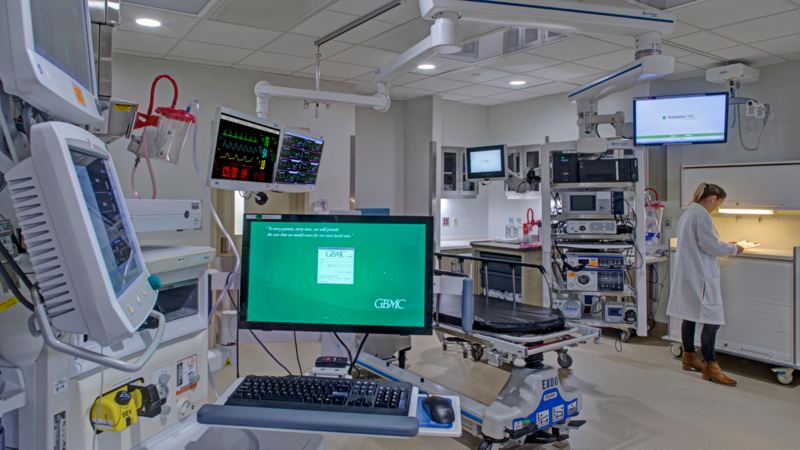 The suite was designed to separate procedure space from the pre-op and post-op spaces. 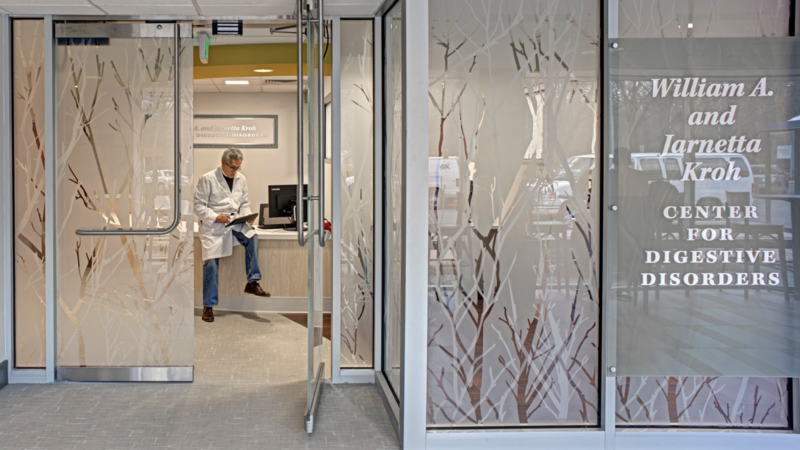 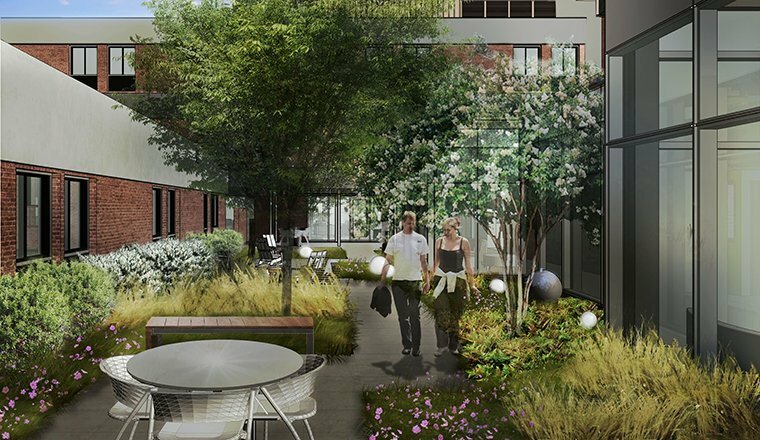 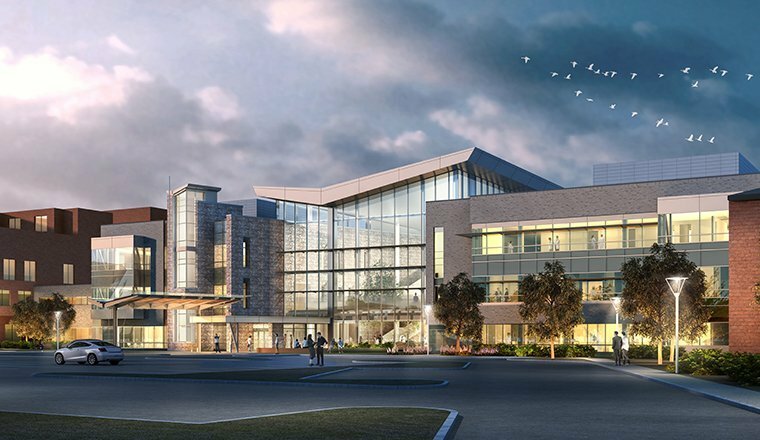 The design incorporates windows at each nurse workstation, allowing patients to be monitored at all times, a locker room and area of respite for staff, and a dual-purpose consultation and meeting space.